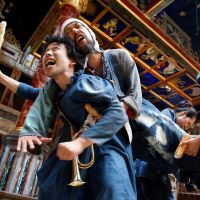 It’s a fair bet that many people at the Globe Theatre in London last May expected the Kyoto-based Chiten (Point) Company to present a stereotypically Japanese, samurai-style “Coriolanus,” complete with taiko drums and period armor. 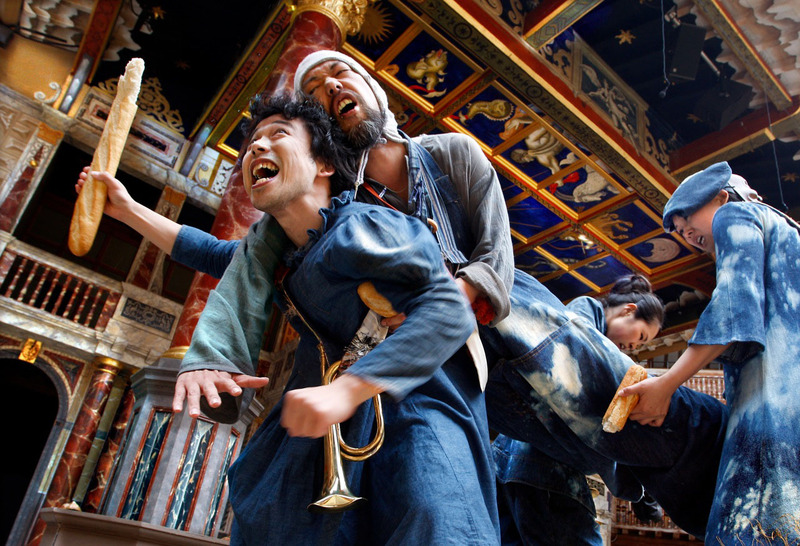 Instead, however, Japan’s contribution to the theater’s Globe to Globe project, for which 37 Shakespeare plays were performed by companies from 37 countries to celebrate the London Olympics, was a minimalist production that portrayed to great acclaim the Bard’s tragedy of a Roman general who turns into a cruel dictator. Remarkably, the cast, dressed in peasant-style denim, also set the replica 17th-century venue rocking with laughter with entertaining scenes, for example when Coriolanus (Dai Ishida) threw a tantrum while wielding a baguette in place of a sword. This month, Chiten brings “Coriolanus” home to Kyoto. Then, in Yokohama in March, it presents two works based on novels by the popular nihilistic writer Osamu Dazai (1909-48): a new play, “Kakekomi Uttae” (“A Direct Appeal to a Top Official”), and “Toka Tonton To” (onomatopoeic for the sound of hammering). 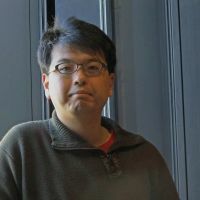 It was in a rehearsal studio in Yokohama that The Japan Times caught up with the director of Chiten’s performances, 39-year-old Motoi Miura. 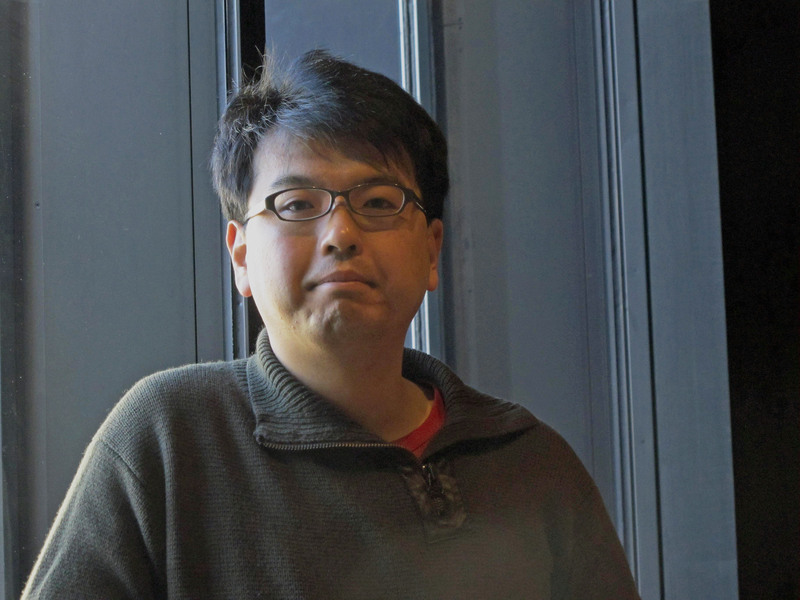 After coming to Tokyo from Akita Prefecture to direct plays, you got a government arts grant and went to study theater in France from 1999 to 2001 before founding Chiten in 2003. How did France influence you? When I moved to Paris I was just about to turn 30, and I soon noticed how many directors my age had important positions, such as artistic directors at public theaters. I also noticed how they worked well with much older actors — and I thought how different that was from my experience in Japan. Though they weren’t all creating great plays one after another, many of them were very charming and they were good at negotiating and working well with others. realized that theater doesn’t just depend on one person’s talent, and that was a real eye-opener. In Japan, the drama world was insular and there was non-stop pressure to churn out works. Do you think such a different atmosphere had something to do with the economics of the time? Well, in France, artists could easily get unemployment benefits between theater jobs, unlike in Japan. In effect, the French government supports theater as a public service and so dramatists can concentrate on their art. They aren’t forced to be semi-professional as they are in Japan. On the downside, though, France is academically meritocratic in many fields, and it’s almost impossible to get into theater unless you have graduated from a conservatoire. Sometimes, people criticize French theater for being less provocative than theater in other European countries, and I think that’s because of the elitism. As a Japanese director, what did you want to show to audiences in London with Chiten’s version of “Coriolanus”? I tried not to project my background with a “Japanese-style” staging of Shakespeare; and I was happy if people could understand it, even if not everyone loved it. That’s because I’m uncomfortable with the fact that so many people think they can easily fill the seats by staging Shakespeare and relying on the plays’ strong story lines to carry their productions. I believe it’s important for contemporary dramatists to feel free to reinterpret those venerable story lines. Actually, I’d even be happy if the audiences regard our performances as “X-ray versions” of a Shakespeare play. Maybe those who expected us to perform “Coriolanus” in samurai style were disappointed, but I believe our original take succeeded without resorting to Orientalism: We had two musicians playing frying pans, toy plastic drums, and so on , live on stage. A great performance, after all, should transcend language barriers and cultural differences. We also performed “Coriolanus” entirely in Japanese, and without any subtitles. In fact the producer of “Globe to Globe” felt strongly about this; he said that audiences would be so intent on reading subtitles that they would miss the performance. He also said that if audiences just wanted to think deeply about Shakespeare’s text, they probably shouldn’t be at that festival — and as I agreed, I was happy to do it that way. What were the Globe audiences like? I was so impressed. Most people obviously knew the play, as they laughed and reacted appropriately without any subtitles. However, I was also a bit bothered by their high spirits. It was as if the Globe — or that festival, perhaps — had become a huge tourist attraction like Disneyland. In a recent open talk, you said you worried that Japan’s contemporary theater scene was degenerating. Well, if I were a choreographer or conductor, I would probably have already moved my working base abroad. The arts are treated so coldly in Japan, but as I am dealing with Japanese texts, I want to continue to work in Japan. That’s not to say I don’t also sometimes want to present my work overseas and gain fresh perspectives on it. Drama is one of the best means of communicating political, and sometimes morally challenging, messages directly in words. It’s not ambiguous like other performance arts. So if the current contemporary theater in Japan doesn’t have a strong influence on society, it means Japan as a nation isn’t interested in having a political debate. This relates to the present turndown in young voters numbers. If people aren’t interested in politics, how can contemporary theater culture flourish? That’s a big concern of mine these days. How can you help to reverse that trend? Well, I take up job offers from subsidized public theaters as much as possible because that keeps the tickets price low. I regard drawing people to the theater as my personal public duty. I especially hope to bring in young audiences, because at present most teenagers get new information from their small circle of friends or the Internet, or from any magazines they have at home. If young people go to see theater, they would encounter ideas they’d never get at school. To grow to maturity, I think the best and most exciting way for them is to travel abroad or visit theaters — and as it’s easier to visit theaters than hitch-hike overseas. I want to encourage within them a taste for live drama. “Coriolanus” runs Jan. 25-29 at Kyoto Citizens Hall ALTI. For more details, call ALTI at (075) 441 1414 or visit www.alti.org. “Kakekomi Uttae” and “Toka Tonton To” run March 7-26 at Kanagawa Arts Theatre in Yokohama. For details, call the theater at (045) 662 8866 or visit www.kaat.jp or chiten.org.